picsofasia | Are you doing it for photography or for fame? Once again photography competitions are proving us their complete lack of ethics and simple photography knowledge. This week in Vietnam this image has been going around. Another classic photo of a photography tour group gathered around one subject, shooting the same image from almost the same angle. The woman seems to pose for them, probably an organized staged model for the photographers who don’t want to have to work very hard for their pictures. If you know about travel and photography, you surely know that this isn’t the right way to photograph people. I already talked about it extensively here. 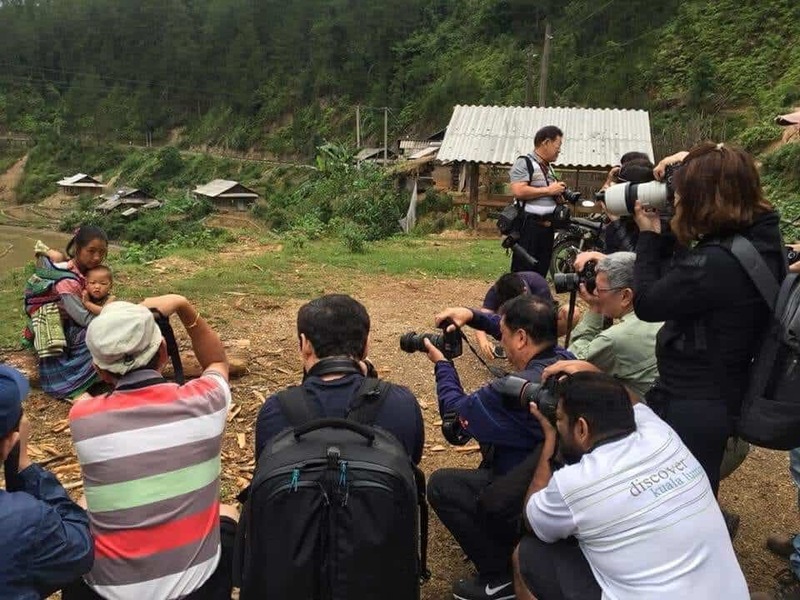 The story gets even better, when one of this photography tour participant actually won a photography competiton with an image taken there, of the same women. I would personally have written: “The feeling of a Vietnamese mother who is being assaulted by a group of rude photographers who probably didn’t bother to ask her about her life story. Her face evoking a sense of feeling really uncomfortable”. I am not here to talk about the image quality, nor the overprocessing skills of the photographer. I want to talk about the fact that because this image won this competition, more people will now want to travel to North Vietnam, stage another “poor looking” woman holding a baby and blur the background. Because you know, it worked last time. The type of photography competitions that we see today are more money making schemes are actually not being judged by people who know about travel and photography. They award a lot of images that they think are pretty but are actually boring images, often copies of images that have been taken before. A professional travel photographer would know that. These competitions do not. Now, if you combine this “photography competition effect” to the general way of thinking that Humanity is experiencing in the 21st century (“It’s me me me, now now now “), you end up with this situation. People now want to be famous. They don’t want to work hard. Staging a photo and winning a competition, is THE fastest way to reach this stage. This is the fastest shortcut you can take to obtain fame. Fame that will of course make you become very rich. Because we all know that once you have won a competition, it rains money and National Geographic just can’t get enough of you for their exotic assignments around the world. Now just ask yourself why you are doing photography. Do you actually enjoy photography or do you want to be a famous photographer. And if you become a famous photographer what then? Selling prints and being rich or ACTUALLY doing something with your images that will have an influence on people around you, and on the rest of the world. These types of shortcuts people are taking are just wrong because they are anti-creativity. Creativity doesn’t come from trying to be famous, and taking photos that are being popular This is called copying. Creativity comes from the practice of the craft, working hard on it, failing, failing again, feeling like the worst photographer, and going back again. Years of doing that. There are no shortcuts for people who are truly trying to improve their craft. It is hard work and takes years to achieve. What we have witnessed in Vietnam this week with this image is the complete opposite. It is the McDonaldization of travel photography through photography tours that cater to people who want to become famous without working too much. And most photography competitions today are supporting that trend. Je me permets de te féliciter pour ta publication. Les Vietnamiens, n’étaient jusqu’à il a quelques année qu’amateurs de sunset et sunrise. C’est Réhan ayant fait fortune avec son livre qui les a attiré vers ce genre de mise scène. Jusqu’à présent ils avaient un peu honte de photographier les “pauvres” ethnies de leur pays. Maintenant pour l’attrait du gain, ils s’y lance n’importe comment. Je suis entièrement d’accord avec toi ils ne savent pas ce qu’est le vrai reportage et j’ai c’est dommage mais honte pour eux. You are right to speak up against such incidents! I myself started with photojournalism, worked with news and magazine and have my own sites. I even spent time up in Tibet alone walking the mountains, been through war zone in Jerusalem. The kind of photographers I like to learn from – Magnum Photos – and we know where they’ve been for the real work and interview. A lot of these competition have become playground of rich people who got spare cash to buy expensive gears and starts calling themselves “Professional”. The whole issues about this winning photo of the Vietnamese mother have become a cynical joke and insult against the local Vietnamese! I mean now the whole world have seen it – there was in fact a tour group of photographers pointing their big lenses at her! and the winning photographer dare to insist to the local newspaper “The Star” that the photo was taken spontaneously. I hope the Vietnamese should sue. I think this Vietnamese mother should be the one receiving the US$120,000 award! 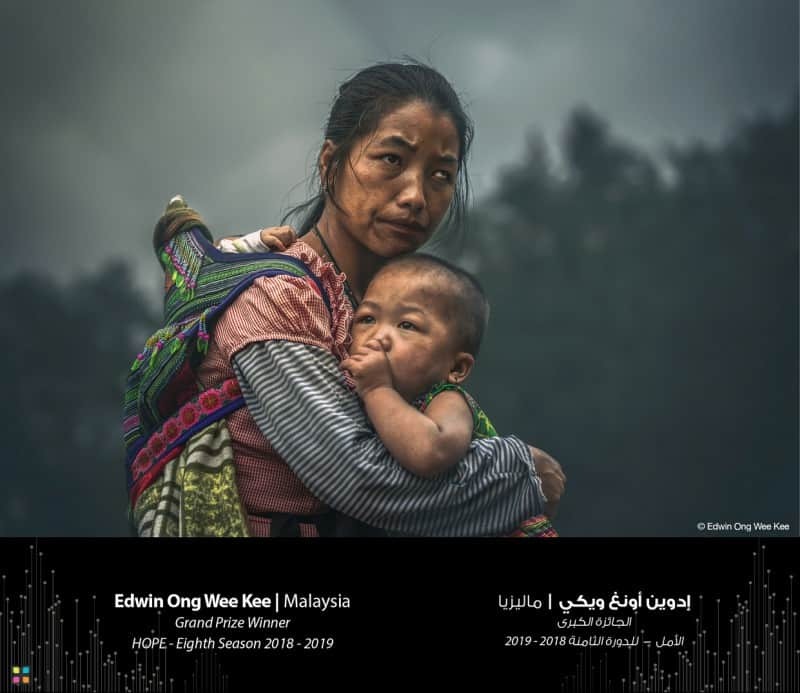 The organizer Hamdan International Photography Award 2019 (HIPA) should do the right thing by protecting these poor villages from being exploited! I want to suggest a petition, these poor villages who’ve been exploited should be receiving the case award! David, thanks for your comment. As much as I agree with the idea, my goal is to try and educate photographers about ethics when doing travel photography. There will always be greedy photography tour companies ready to take people on a full-on exploitation photo tour, anywhere around the world, in order to make money. But if the photographers know that something is wrong here, these people won’t survive in the business. Not being a French speaker, one can only hope the above comment reads something like ” I totally agree with your comments and feel the ‘Tour” operators should disclose how much the poor woman was paid to pose for this group fiasco. As for the ‘competition’ organisers / judges they should be able to pick a highly doctored image and reject it. I understand there are many competitions out there where one has to pay to enter. As such these people can afford to dole out ‘awards’ for rubbish. Competitions run by ‘National Photographic Associations’ are generally free to enter and your ‘prize’ is international recognition. They also engage judges who know their stuff. I applaud you for bringing this to our attention. Shame on photographer that have such a mindset!! The world needs education about ethics and respect. It is as simple as that. With a bunch of photographer taking pictures and a woman posing for it. Is that spontaneous photography? Lol..
Etienne, thank you for posting this. There is a fine line between making images that tell an important story and inform for good and making images that are just a reflection of the photographer’s (often) “white gaze.” The question must always be: Why Am I Doing It? Dear Etienne, greetings from Cyprus. I read your very interesting article “Are you doing it for photography or for fame?” and would be glad if you could get in touch whenever possible. I am editing the FIAP News, now working on no 7, for the International Federation of Photographic Art and my main aim is to enrich its contents by presenting articles, critiques etc, relevant to photography and wonder whether I can have your contribution. This, surely, will depend on the Directory Board of FIAP and hope I will get their blessing. Back issues of FIAP News can be found in the website http://www.fiap.net. Thanks, Nicos, I would be happy to share my thoughts on the matter. It’s not a great photograph at all. Very dull light, a very boring point of view. It is indeed, but not our current topic. My goal isn’t to talk about the image or the photographer, but the whole topic about staging images. It has finally come to this and my fear is this kind of “competition” is only the beginning. I find it surprising (very surprising) actually that the photo got through HIPA. HIPA requires a model release but it is difficult to verify a fake. This sort of thing happens everywhere not just Asia though a whole horde of photographers are more common there. The model release is for another story…. there is no way a travel photographer can get a model release from the people they photograph. It is just not doable.